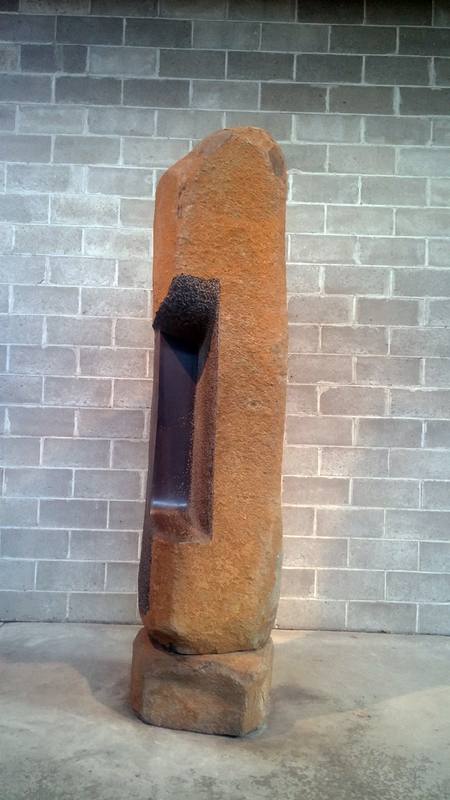 The highlight of my trip to New York was a visit to the Isamu Noguchi museum. 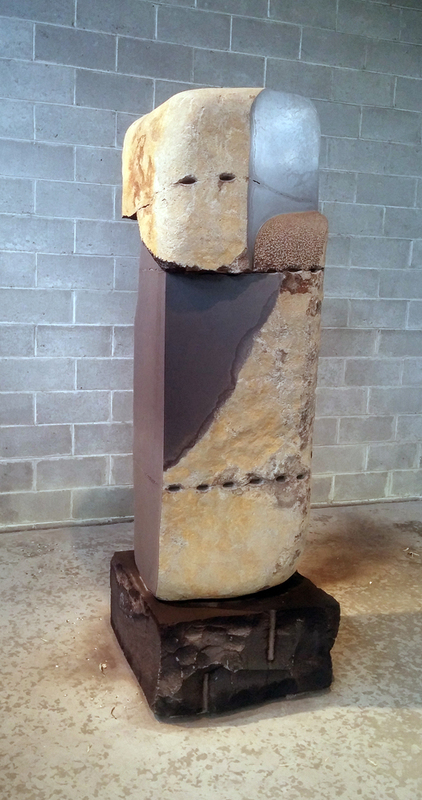 I’m a big fan of Noguchi. I don’t love every single thing he made, but all of it is interesting and some of it is awesome. And I loved the museum. As they say in the video, it’s quite unique, a museum founded, designed, and curated by the artist. 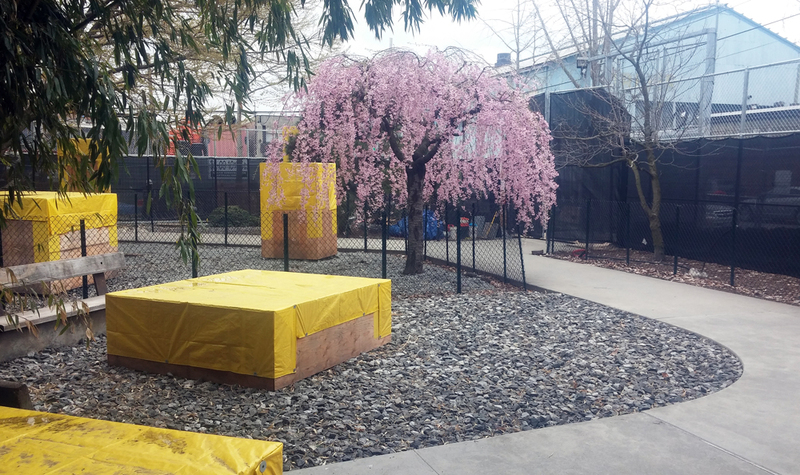 I was there at the perfect time to see the cherry tree in the museum’s garden, but, unfortunately, workers were renovating the perimeter wall around the garden and the sculptures were hidden under plywood boxes, my one regret about the visit. 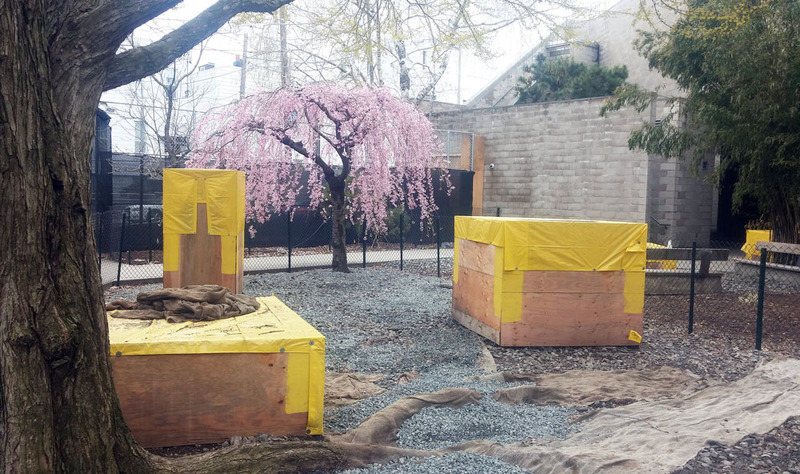 Two of the works I most wanted to see, The Well (Variation on a Tsukubai) and Core (Cored Sculpture), were under the plywood. Photographer Tibo has beautiful photos of the garden as well as wide-angled shots inside the museum, worth checking out, they’re much better than my efforts with my phone camera. I’ll have to go back some day when the trees are in leaf and with a proper camera. It looks like a great garden space. Most of these photos are from the first main room of the museum. The room is somewhat open to the elements, with an open light well in one corner and openings along the top of the walls like unfinished clerestory windows. 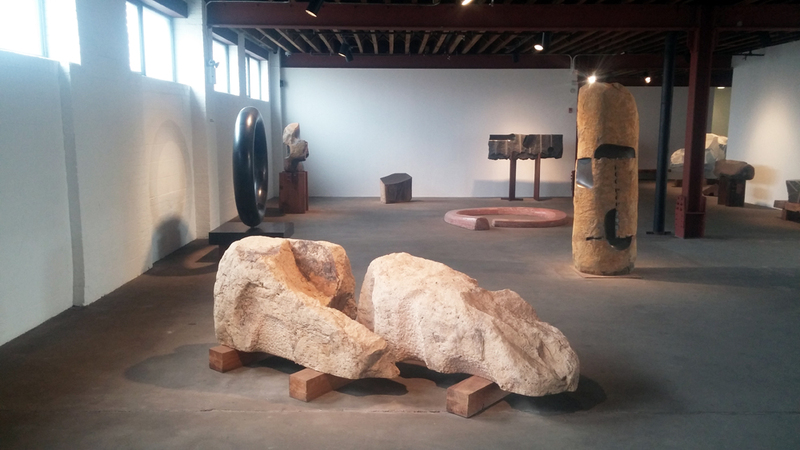 These sculptures are from later in Noguchi’s career when we was working with monoliths of Japanese basalt. 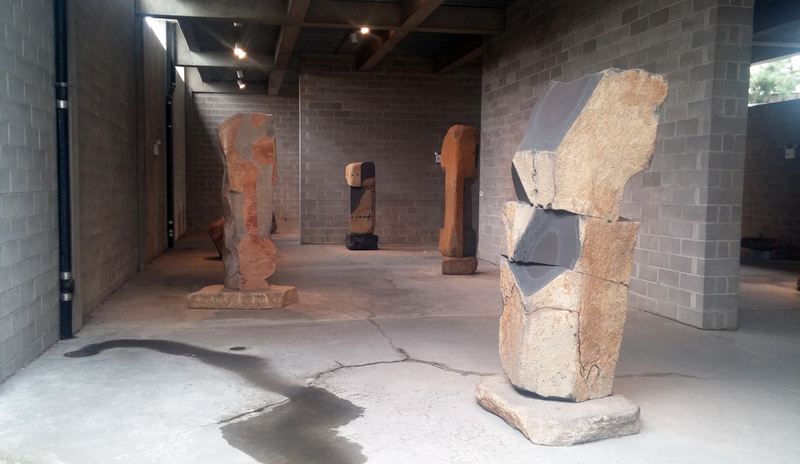 The natural patina of the stone is an important element of all of these works, so it’s a nice touch letting the weather into the room so the stone can continue to age. 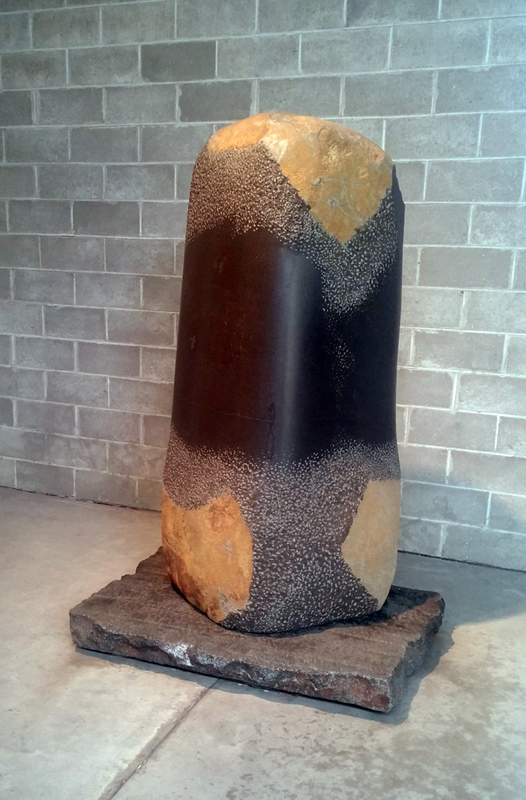 The world’s largest pestle, titled The Stone Within. Such a beautiful contrast between the patina’d surface, the worked surface, and the polished surface. 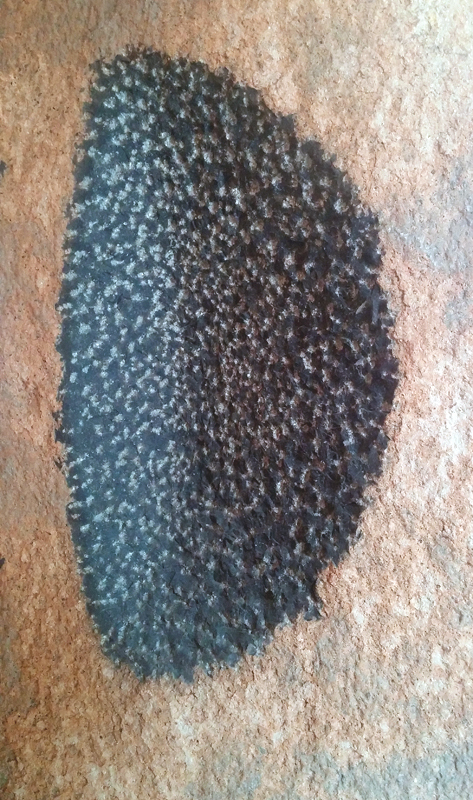 There are several in which he more or less drew on the surface with his chisel. A few of the stones were claimed from Japanese masons who were splitting them with plug and feathers. I love how he turned this one into something like a moai. In this one, from the same time period but set in one of the rooms with more varied work, he carved and polished around the masons’ plug-and-feather holes. He titled it To Bring to Life, which is possibly a little grandiose but also shows the value he saw in the efforts of masons and sculptors. 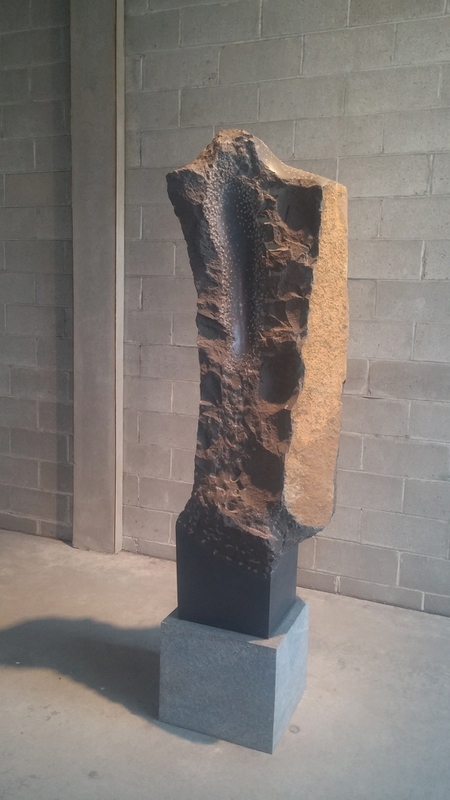 A series of sculptures with similar form shows what led him towards working with basalt. 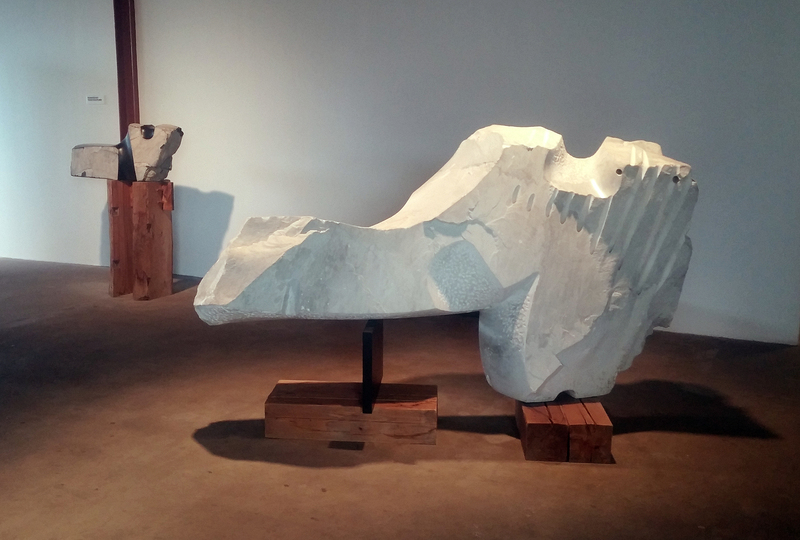 Looking at the first of them, a white marble titled The Roar from 1966, the form shows perhaps a neck and a head tilted back, shouting to the sky; the drill marks might be hair or action lines, though of course I could be reading it wrong. 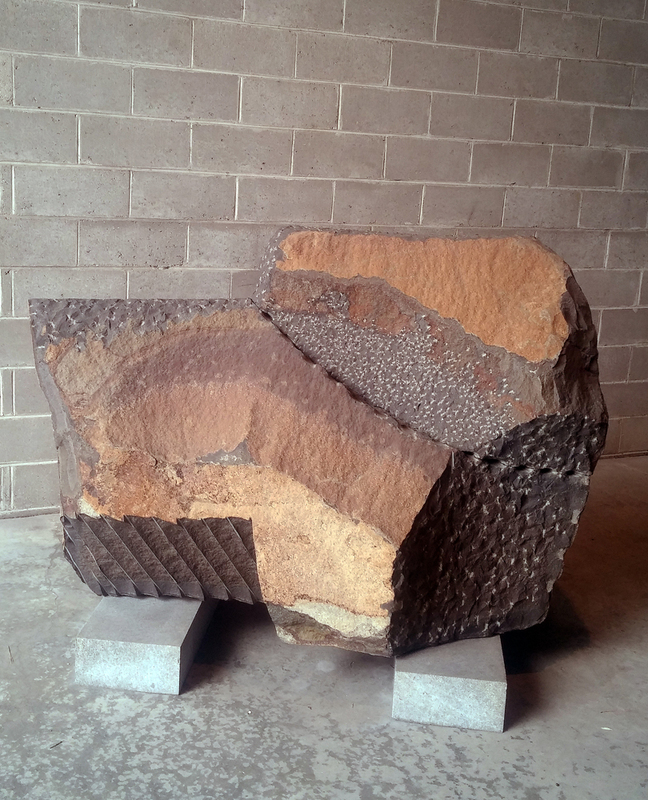 In any case, it has a range of finish textures — rough, chiseled, drill-scarred, polished — but they don’t have the same impact as they would in a more interesting stone such as basalt. 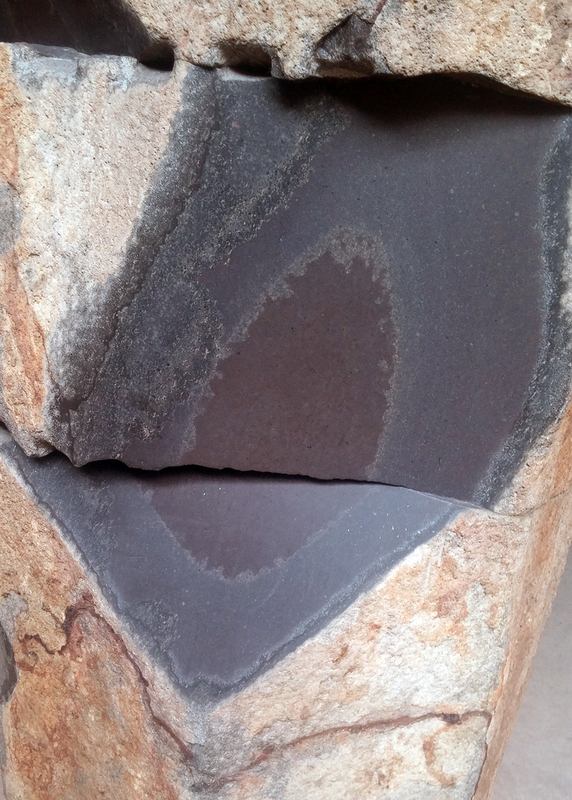 Next to it is an obsidian piece, Heart of Darkness from 1974, that adapts the same form to a stone with real character. The pale skin is the natural patina, the dark edges show the color of the breaks, and then the polished surface is a beautiful shiny black. 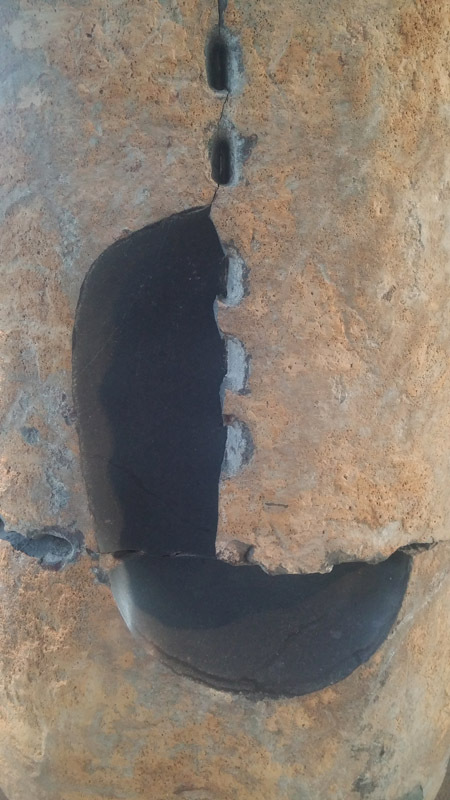 It’s smaller than the marble, but probably the biggest piece of obsidian I’ve ever seen, and the contrast between the textures makes it much more powerful than the white marble. It’s one of my favorites in the museum. 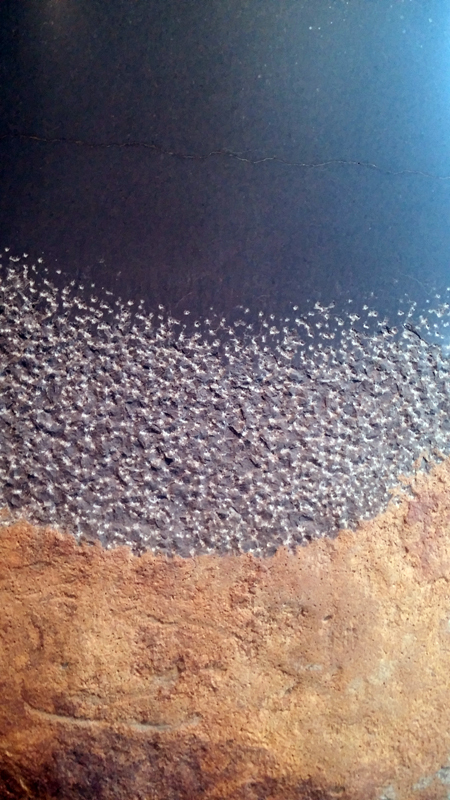 Give and Take from 1984, has a similar form again and the same range of finishes, but in basalt. To me it looks unfinished, but I can also guess how beautiful he found the natural surface. I took other photos which I’ll post fairly soon, but this seems enough for now. 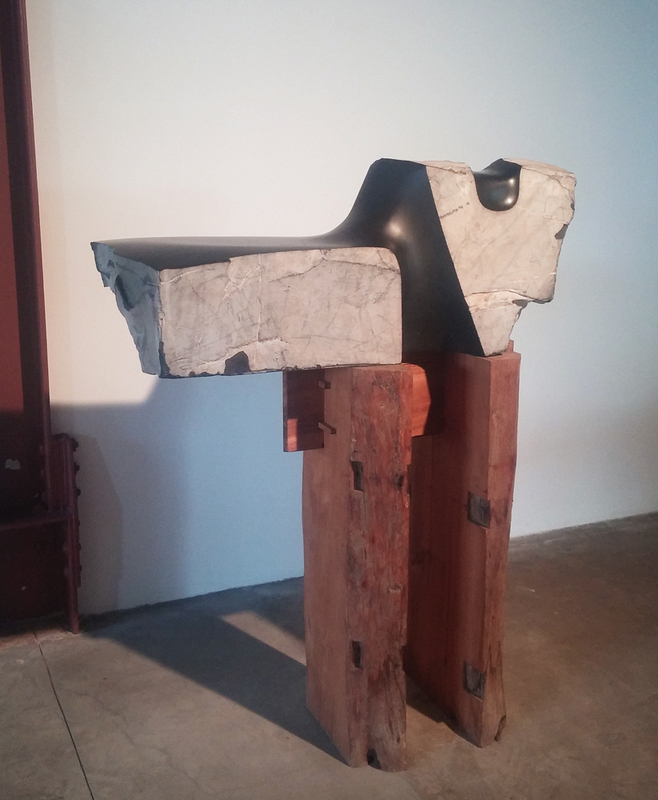 The basalts and the obsidian are some of my favorites, though I also like his floor pieces in granite and marble, his upright slate assemblages, his water table and various other things he made. Like I said, I’m a fan. 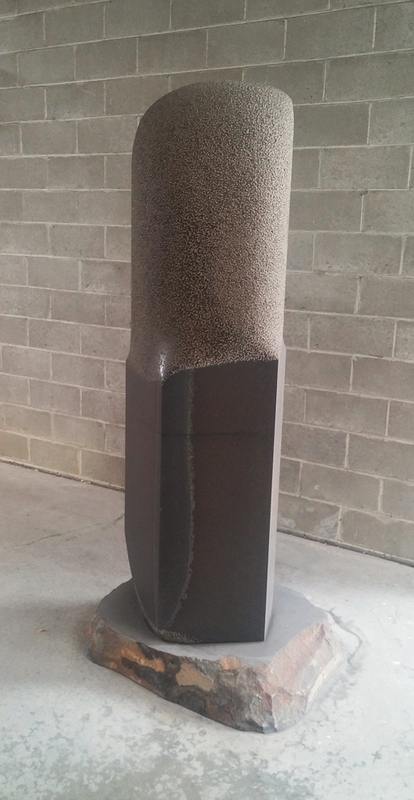 This entry was posted on Monday, July 20th, 2015 at 7:36 am and is filed under sculpture, stone. You can follow any responses to this entry through the RSS 2.0 feed. You can leave a response, or trackback from your own site.